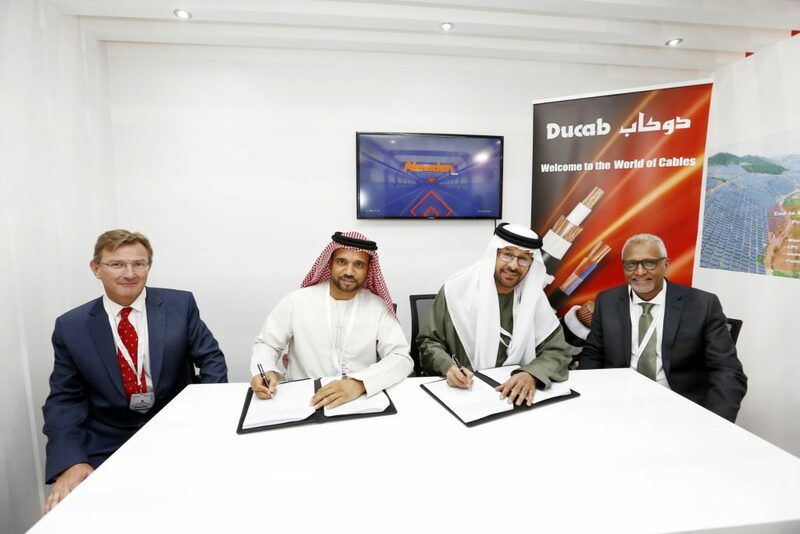 Ducab’s role in the development of the region’s solar power sector is growing, through the company’s new partnership with solar business developer and manufacturer, Almaden Emirates Fortune Power LLC (AEFP), a joint venture between Emirates Fortune Group and Almaden Mena FZE. With several solar power plant development projects in the GCC, Africa, and Central Asian countries, AEFP selected Ducab, as a leading manufacturer of energy cables in the Middle East, to complement the quality and performance of its double glass solar panels. Chosen for its high quality and innovative products, Ducab will provide AEFP’s ongoing solar plant projects with specialised energy cables and related manufactured sub-assembly components. Within the UAE, solar power continues to be a public priority with HH Sheikh Mohammed bin Rashid Al Maktoum announcing the world’s largest single-site Concentrated Solar Power (CSP) project, which will be built at a total cost of AED14.2 billion as part of the Clean Energy Strategy 2050. Owned equally by Abu Dhabi’s General Holding Corporation (Senaat) and Investment Corporation Dubai (ICD), Ducab has consistently remained at forefront of delivering advanced manufacturing products to meet the unique requirements of numerous industrial sectors. Ducab cables are all designed and produced within the UAE, reducing the traditional need for construction companies to rely on international suppliers to source their cabling requirements. The transition to a local supply chain in recent years has provided infrastructure companies with the ability to pursue their smart city projects faster, more securely and in the most cost-effective manner.